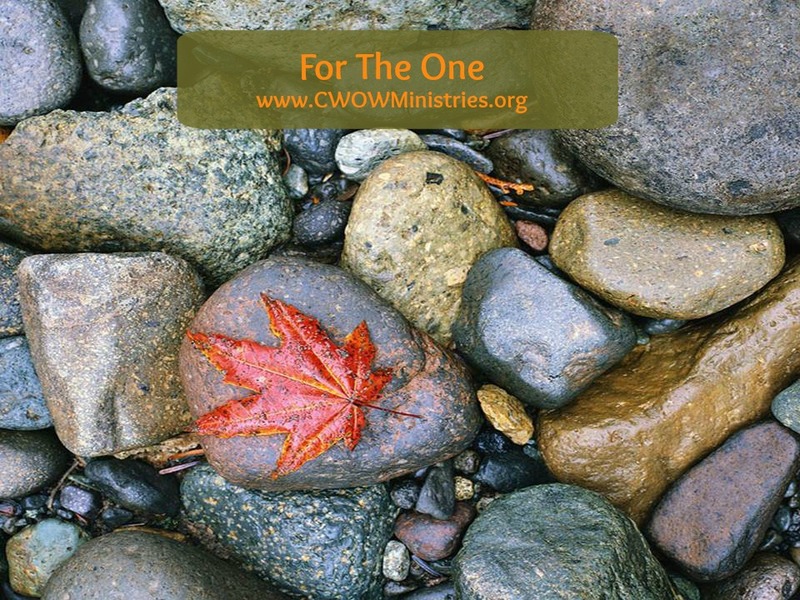 At Church Without Walls Outreach Ministries, we seek the “one.” We are an Outreach Church, which means we are sent to the community to find the forgotten, downtrodden, hurt, abused, neglected, and outcast. We are sent to find those who would not otherwise seek the church. We show the love of Jesus to the “one” with the expectation that God will use this as an entry point into their life. All that we do, we do in the name of Jesus, for His glorification. Everything we do in Jesus’ name, in accordance with His Word, will accomplish what it was intended to do. A well timed hug, meal, word, or financial gift goes a long way in expressing who God is. Our actions are very much like one who plants a garden. Some prepare the ground. Some plant the seed. Still others water the seed. In this illustration, the ground preparation, planting, and watering are the actions we do for the “one” – God does the rest. He shines His glorious light and brings forth a bountiful harvest in this person’s life. This is a simple philosophy based on our faith in God as a seeker and a saver. There is a military philosophy ingrained in every soldier, sailor, airman, and marine – “Leave No Man Behind.” In the battlefield of life, there are many who are injured and mortally wounded that are in desperate need of first aid, triage, long term care, and recovery. The only way to save the people is to go out and get them. The injured cannot save themselves or else they would have done it already. God wants all the lost people to be found. All people are of value to God. God created us, and only He can assess our value – not the world we live in. This scripture is an example of how much God loves all of us, even the “one sinner.” The sinner is not worthless to God.